Our director, Javier Cuñado, has had the privilege of being interviewed by La Razón for its section ‘Innovadores by Inndux’, a Spanish leader magazine about innovation. Nerea Castro, the author of the article, presents ITEMdesignworks under a claim that defines us: “a consultancy company dedicated to creating new products, Smart products, that facilitate user’s life with design as our main strenght”. Throughout the article, the journalist highlights the ergonomics of Passport, a design made 10 years ago for the prestigious design firm Actiu. 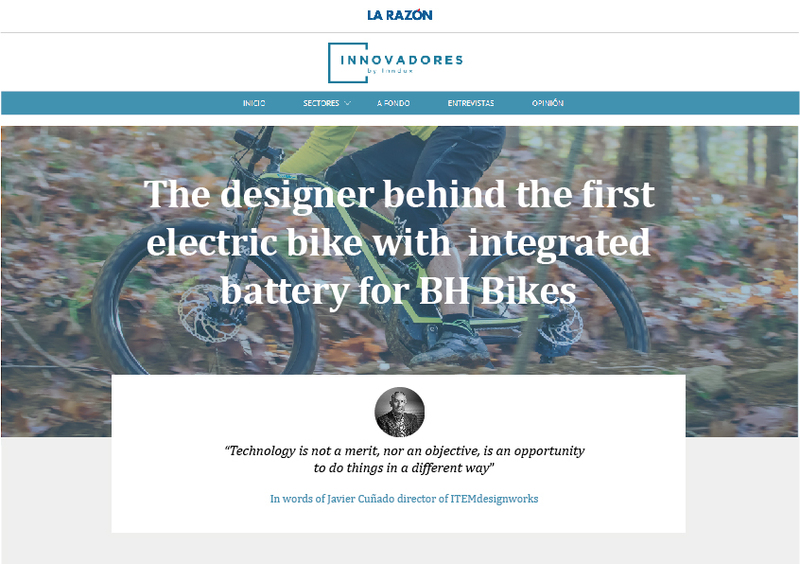 After mentioning other designs, such as the first Spanish carbon fiber chair or the first electric bicycle with a fully integrated battery box for HB Bikes, Javier expresses his opinion on the new role of the designer. In the words of Javier Cuñado for ‘Innovadores’: “Technology is not a merit, nor an objective, but an opportunity to do things in a different way“.